The main objective of social work is to facilitate positive changes in individuals, families, groups, organizations, and communities. The first step in this change process is accurate assessment ' and that's the primary focus of UNDERSTANDING HUMAN BEHAVIOR AND THE SOCIAL ENVIRONMENT. 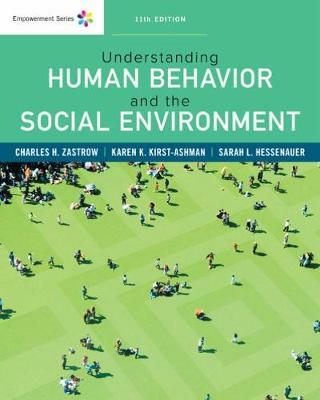 Focusing on individual behavior within families and other systems, this book will help you understand the underlying reasons why people act the way they do. You'll learn about biological, psychological, and social development at different lifespan stages, as well as about the benefits of strengths and empowerment approaches to social work. To further prepare you for your career, this edition's content aligns with the core competencies and recommended behaviors outlined in the current Educational Policy and Accreditation Standards (EPAS) set by the Council on Social Work Education (CSWE).